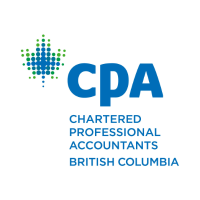 Chartered Professional Accountants of British Columbia (CPABC) is one of the largest professional organizations in the province. Established when the Chartered Professional Accountants Act came into force on June 24, 2015, CPABC is an amalgamation of the Institute of Chartered Accountants of BC, the Certified General Accountants Association of BC, and the Certified Management Accountants Society of BC. CPABC represents over 32,000 CPA members and almost 6,500 legacy and CPA students and candidates. Canadian CPAs are globally recognized as leaders in industry, commerce, finance, government, public practice, and other areas where accounting and financial management is required. CPAs advise multinational corporations, large and small businesses, not-for-profits, government agencies, and individuals. CPABC is responsible for the training and certification of CPA students. The organization is also responsible for the regulation and professional development of its members, and the protection of the public through its ethical standards and discipline processes. In addition to these responsibilities, CPABC is also committed to providing the public with useful financial literacy information and contributing to the advancement of public policy. For more information, please visit our website at www.bccpa.ca.